Alongside our standard products and services, Metrodata offer bespoke custom product design and product white labelling services. With near 30 year’s experience in the telecommunications industry, Metrodata have worked with numerous customers to resolve interface and networking problems. Metrodata have created many bespoke solutions and products in collaboration with customers, from modified versions of existing products, to incorporating new features, to the design of completely new products. One customer required an Ethernet interface type on their satellite modem product so that it could interface with more modern equipment. As size, weight and low power operation were critical issues, a standard Metrodata unit could not be used. Working closely with this customer we shrunk one of our modem sized Ethernet LAN extension units to the size of a credit card, which could then be mounted into the customer’s satellite modem. A specialist requirement was needed to allow Cisco routers to communicate via encrypted radio links. The Metrodata baseband converters were created out of this requirement to enable this new and legacy equipment to be used together. 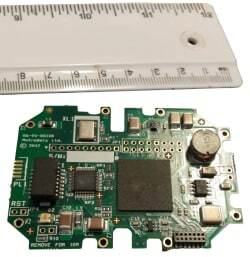 The BC1X00 product family is typically used to interface Cisco HSSI Routers to LVDS Cryptos, or LVDS Cryptos to HSSI Satcom Modems or HSSI Radio Relay Systems. The BC2x00 product family is typically used to connect HSSI routers with EIA530 satellite modems and vice versa. Both BC1X00 and BC2x00 product families offer DCE to DTE conversion as well as DTE to DCE conversion, enabling many different equipment connectivity solutions. Metrodata's Baseband Converters present a major step forwards in solving interoperability and interfacing issues within Defence networking. The communications sector has a complex channel structure, where products and services often involve several different tiers of suppliers. Differentiate your services and advertise your business, by taking every opportunity to put your own label on equipment, whether installed on the customer site or within the data centre.